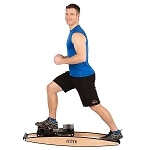 AIREX Balance Pad : foam cushion for balance training. 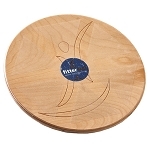 Great for coordination or balancing exercises. Body weight causes the pad to gently compress. Effective for sport training, rehabilitation, and physiotherapy. Helpful for stimulating balance reflexes, postural alignment. 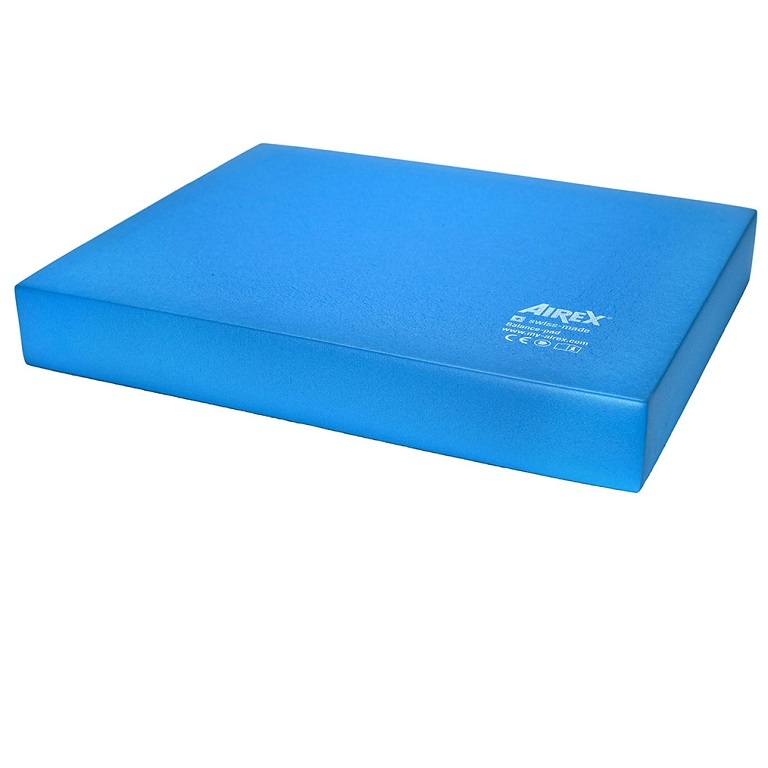 The AIREX Balance Pad is a soft yet firm mat designed for balance and physical therapy training. The unique destabilizing properties of the soft foam make this pad an ideal tool for stimulating balance reflexes to improve motor skills. The AIREX Balance Pad is made of closed-cell ultra-soft specialty foam that gently compresses under the user's body weight, creating an unstable surface. The softness of the foam creates an unbalanced surface that forces the muscles of the foot, ankle and lower leg to effectively work to keep the body straight. The foam pad is sanitized, does not absorb water, and is easy to wash. Exercises should be done barefoot on the warm and comfortable foam pad. 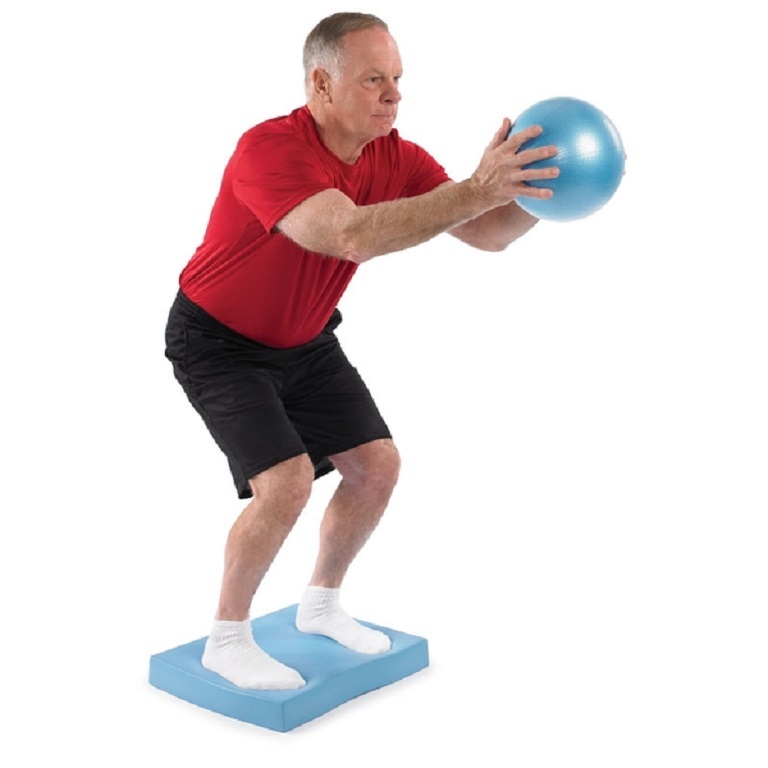 The durable Swiss-made foam balance pad is an effective, yet simple training tool that allows users to exercise more effectively to improve strength, stamina, and coordination. Two balance pads can be stacked together for even greater instability. The AIREX Balance Pad is helpful for beginning balance exercises included in the BeBalanced! Active aging training program that can be performed in a group and also as personal training. BeBalanced! focuses on exercises to improve the motor skills of endurance, mobility and power as well as coordination are trained. This active aging program emphasizes coordination as the basis of the capacity to keep the body in balance. Dimensions: 19 inches long, 16.5 inches wide, 2.5 inches high. Material: Closed cell foam, latex free, antimicrobial finish. This is the same balance pad my Physical Therapist uses. It is softer than most of the other cheaper pads so its more challenging and harder to keep your balance on, which is better to improve stability issues. I tried one of the other cheaper ones but returned it and went this one. Q: How thick is the. Pad? A: The pad is approximately 2.5 inches thick. Q: 1. What are the instructions for using the AIREX Balance Pad? 2. I saw a long narrow AIREX pad to walk a few steps on at the YMCA. Are they available and cost! A: Airex Balance Beam and Airex Balance Pad XL are narrow versions. Q: Is this Airex balance pad open cell foam? A: The AIREX Balance Pad is made of closed-cell ultra-soft specialty foam.